Participants in the international big data workshop in Versailles, France, take a break for a group photo. Earlier this year, the South Big Data Hub partnered with Microsoft Research to offer researchers in the South Hub region the opportunity to apply for cloud credits on Azure, the comprehensive cloud services platform offered through Microsoft. 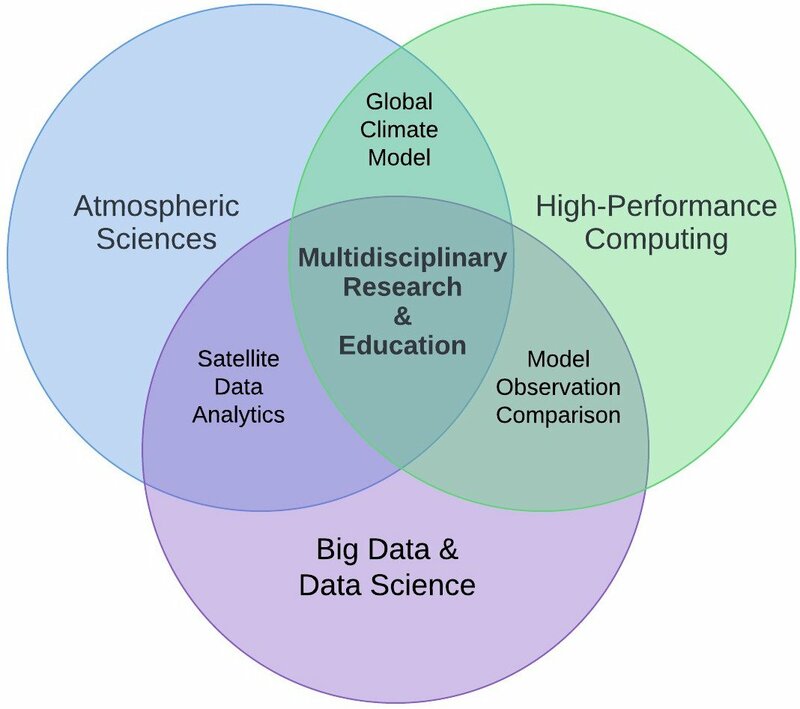 The opportunity was designed to provide cloud computing resources to support data-intensive research projects. NSF’s Wendy Nilsen speaking at a South Big Data Hub Roundtable. Each day countless devices—from monitors in hospitals to diagnostic tests to Fitbits—capture huge amounts of health data. That data could change how patients and doctors interact, how diseases are diagnosed and treated, and the amount of control individuals have over their health outcomes. But there’s a catch, says Wendy Nilsen, PhD, program director of the Smart and Connected Health Initiative at the National Science Foundation. The data is plentiful, Nilsen acknowledged. The challenge, she said, is how to make that data easier to use, how to standardize it so it can be analyzed, how to scale it, keep it safe, and how to account for external factors such as the environment or a person’s genome. Nilsen discussed these challenges and how to address them in a roundtable discussion hosted by the South Big Data Hub on October 14. Nilsen’s talk, titled “Smart Health and Our Future” provides an overview of the challenges that must be addressed as well as the ultimate goal: A system where patients use data to take more control of their health and where healthcare practitioners can use data from multiple sources to improve diagnoses and health outcomes.